Nalvula system, Lonetrek region. At the early hours of the 13th of December, Circle-Of-Two [CO2] forces clashed with Project.Mayhem. [16-13] and their allies in the system. The cause of the fighting was a tower in the neighboring Jan system belonging to Circle-Of-Two which was previously reinforced by Project.Mayhem. forces in order to provoke a fight. However since the tower was set to exit reinforced mode near midnight, past the prime time for Project.Mayhem., allies such as Psychotic Tendencies. [TISHU] and Snuffed Out [B B C] were called. Circle-Of-Two formed up a 100 pilot Machariel battleship fleet and made it first to the system, guarding the tower as carriers were brought in to restore its shields. Project.Mayhem. also formed a Machariel fleet with a pair of triage Archon carriers and a few dreadnoughts. All told the force had around 30 pilots. While Circle-Of-Two was busy repairing the tower, the Project.Mayhem. force waited for the joint Snuffed Out and Psychotic Tendencies. fleet to get in position. The two alliances formed a joint 120 pilot Proteus strategic cruiser fleet in order to defend a different timer. However with their enemies declining to show, the force rushed to lend a hand to Project.Mayhem..
Once the joint Proteus force was in place, the Project.Mayhem. fleet jumped into the system and warped to the tower, attempting to engage the Circle-Of-Two fleet. As the dreadnoughts entered their siege cycle, a cynosural beacon was lit on grid and ushered in the joint Proteus fleet. The combined force managed to quickly dispatch one of the Chimera carriers which were brought to restore the tower’s shields but the Circle-Of-Two Machariel fleet declined to engage, instead burning into the safety of the tower’s shields. Whats more, the tower was sufficiently repaired and its shields restored, thus forcing the allies to reinforce it again. Expecting the fighting to end there, the two allied fleet extracted to the neighboring Nalvula system where a titan was sorted for the joint Proteus fleet to bridge back home while the Project.Mayhem. fleet dispersed in the station. And yet, the Circle-Of-Two fleet left the safety of the tower and decided to chase the joint Proteus fleet. As the information was relayed to the allies, the Project.Mayhem. fleet quickly re-formed while the Proteus fleet warped to the Jan gate, the Circle-Of-Two’s point of entry. As the Proteus fleet landed on the gate, one of its command destroyer pilots activated his micro jump field generator. The intention was to teleport the Circle-Of-Two fleet away from the gate alongside the Proteus fleet, thus insuring it couldn’t easily escape. However as it turned out the Circle-Of-Two fleet did not attempt to re-approach gate upon entering the system as expected, and before the fleet commander could belay his orders disaster seem to have struck as nearly half the Proteus fleet was whisked a 100 kilometers away, effectively splitting the force into two. Regardless, the two fleets engaged each other, starting the fight. 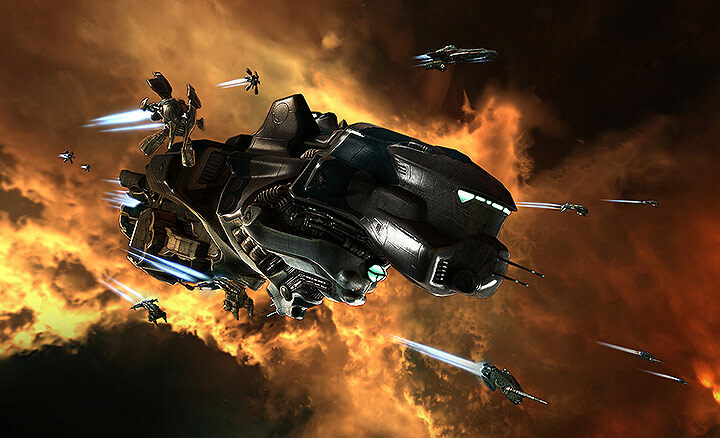 Fighting at a disadvantage, the Proteus fleet engaged the Machariels nonetheless. Super-heated plasma and laser beams were hurled at the great brownish hulls as the two halves of the Proteus fleet attempted to link back. The Machariels were not silent and retaliated with heavy artillery fire, barrage after barrage crashing against the strategic cruisers’ armor plates. The violence claimed victims on both sides as the split nature of the Proteus fleet effected its logistics wing as well. Proteus and Legion hulls were torn apart by savage artillery fire while several battleships were taken down by concentrated laser bursts and rail gun charges. Circle-Of-Two brought in three triage carriers to help stabilize the fleet as the Proteus force started decimating its logistics wing, Guardian logistics cruisers worn down by the unrelenting and continued fire which grew in strength as the fleet rallied together and was further reinforced by Project.Mayhem..
Project.Mayhem. brought not only its Machariels back to the mix, but also its dreadnoughts. The combined force started burning down the triage carriers and battleships, the dreadnoughts’ enormous blasters and auto-cannons tearing apart armor plates and hull segments with every salvo. As losses started to mount for the Circle-Of-Two fleet and with the Project.Mayhem. dreadnoughts on the field defeat became apparent. Hastily, the Circle-Of-Two force withdrew, conceding the field to the allies. With the battle won, the two fleets extracted as well, having won the battle, though lost the tower. All told the battle lasted 20 minutes with Time Dilation not reported and the system holding less than 300 pilots at the height of the fighting. Circle-Of-Two lost 29 ships including 4 carriers and 9 battleships for a total of 18.05 billion ISK. Project.Mayhem. and its allies lost 9 ships including 1 battleship and 7 strategic cruisers for a total of 7.19 billion ISK. You guys won that 1 they won this 1, so yeah Co2 Lost this 1. They’ve lost plenty of other ones too if you look back the last 2 months of fights in this area ;o. Get back on the shortbus, and next time dont open the back door when the bus is in motion. Why aren’t people complaining about CO2 being blobbed by the low sec denizens? Because they didnt outnumber them 4 to 1. CO2 was outnumbered 1 to 1.5. In the cfc if you dont outnumber your enemy by atleast 4 to 1 you usually lose.